Craig Futterman and Kenyatta Tatum Futterman have served as Resident Deans for International House since Autumn 2016. 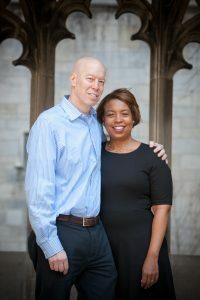 They have spent many years surrounded by and engaged with University of Chicago students—Craig as a clinical professor at the Law School and Kenyatta first as an academic adviser in the College and now as Youth Program Coordinator within the Department of Safety & Security’s Office of Risk Management. 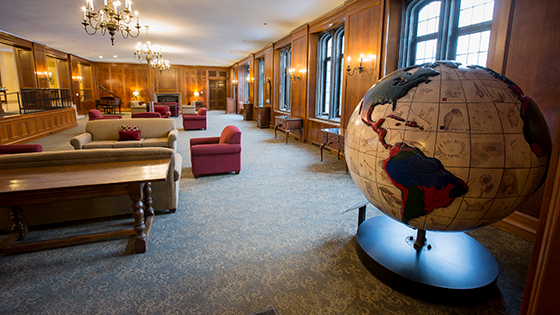 The couple hopes their role as Resident Deans in International House will “keep us connected, young, challenged at all times, and learning at all times,” Craig says. Prior to his 2000 faculty appointment to the Law School, Craig—a Chicago native—graduated from Northwestern University with a BA in Sociology and Economics, and received his Juris Doctor degree from Stanford University. Kenyatta, who grew up in Kankakee, Illinois, earned her BA in English from Spellman College. She later attended DePaul University, where she received a Juris Doctor degree. 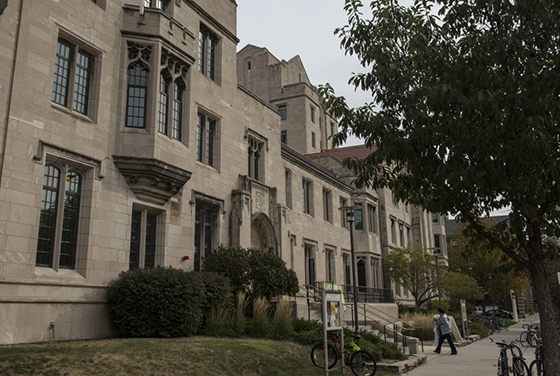 International House at the University of Chicago, founded in 1932 by John D. Rockefeller, Jr., is a dynamic program center and Residence Hall. The mission of International House is to promote cross-cultural understanding, mutual respect, and friendship among students and scholars. In addition to serving as a vibrant residential community, International House also serves the greater Chicago community as a cultural and intellectual center for a wide range of diverse programs. Activities range from cultural celebrations and educational programs to discussions and debates on world issues. The Hall houses five vibrant communities, each with their own complement of Resident Heads and Resident Assistants, charged with community building. The Hall has one Resdient Dean couple, who act as intellectual stewards for the residents. “Living in Breck has been the best thing thats happened to me at UChicago. Coming back to the dining hall table with all my friends is a great way to wrap up a day of class, and seeing the house come alive for events like Humans vs. Zombies and (especially) Scav is really incredible.” Ben G.